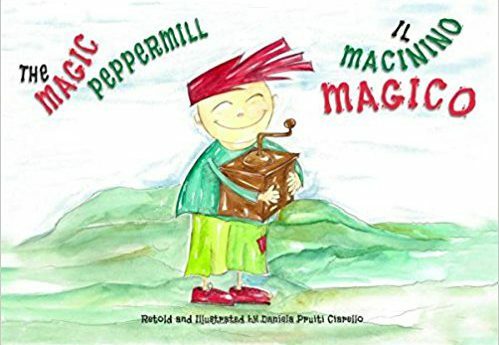 Her need to escape during a difficult time in her life is what inspired her to pluck up the courage and put pencil to paper and complete her debut bi-lingual children’s book, Il Macinino Magico (The Magic Peppermill). As she started to draw again, her life started to fall back into place, finally getting a job as an Italian teacher at Beehive Montessori School. Her primary school students there inspired her to pursue her passion project and start working on her first picture book. “By working with children, I am constantly surrounded by their enthusiasm and their stories. I draw inspiration from children’s light-heartedness. They made me realise how rewarding it is to free the imagination and to create,” she says. For your chance to win a FREE copy of the book tell us in 50 words or less of your favourite Italian fable.